Mike Sorrentino is an American television personality. His full name is Michael Sorrentino and is also popularly known as The Situation. He was a cast on all the seasons of the MTV reality show Jersey Shore. All six seasons started from December 2009 till December 2012. 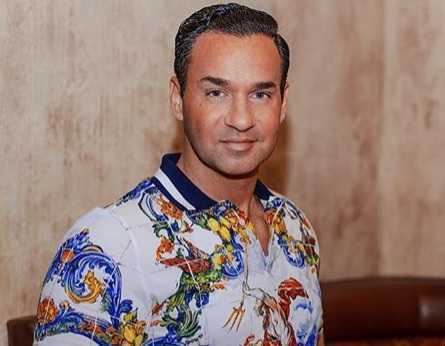 The 36-year old TV persona, Mike "The Situation" Sorrentino was sentenced an eight-month prison on Friday by New Jersey federal court. In addition, he must pay $10,000 fine, along with two years of supervised release and complete 500 hours of community service. The Jersey Shore star was alleged for tax evasion in April 2017, where Sorrentino pleaded guilty on 19 January 2018. Previously, Sorrentino was charged with tax fraud in September 2014. According to the allegation, avoided paying $8.9 million tax. He was the cast of Jersey Shore in all of the six seasons and returned in its reunion season titled Jersey Shore: Family Vacation. Mike Sorrentino was born on 4 July 1982 in Staten Island, New York, United States. His father is named Frank Sorrentino and mother is named Linda Sorrentino. He has two brothers named Frank Sorrentino and Marc Sorrentino, a sister named Mellissa Sorrentino. Sorrentino attended Brookdale Community College and obtained an associate's degree. After college, he attended Kean University and Monmouth University. Previously, he worked as an assistant manager of a fitness center in Staten Island. He lost his job when he was 25. Later, He started underwear modeling. Sorrentino was a cast member of Jersey Shore since its debut season in 2009. Sorrentino has also guest appeared on other TV series and TV shows, which includes The Howard Stern Show, The Tonight Show with Conan O'Brien, SportsNation, Chelsea Lately, The Jay Leno Show, Lopez Tonight, The Ellen DeGeneres Show, and Conan. Sorrentino also participated as a contestant on Season 11 of Dancing with the Stars. He partnered with Karina Smirnoff. He was eliminated on the 4th week of the show. Sorrentino appeared with Briston Palin in a public service announcement in 2010 Pause Before You Play campaign for The Candie's Foundation. The campaign was organized to raise awareness to prevent pregnancy. In January 2011, Sorrentino appeared as a judge in Random Talent, a YOBItv talent-show web series. The name of the series was later changed to New Stage. Sorrentino's performed on the Comedy Central Roast of Donald Trump in March 2011. In August 2011, fashion retailer Abercrombie & Fitch offered a "substantial" amount of money not to wear the company's clothes that could cause significant damage to the company's image. Three months later, Sorrentino filed a lawsuit against A&F after they made shirts that read "The Fitchuation" and "GTL...You Know The Deal". Sorrentino appeared in a small cameo role on ABC's Suburgatory on February 22, 2012. The same year, he participated in Fox's dating game show, The Choice. Sorrentino became a housemate on the tenth series of Celebrity Big Brother on Channel 5 on August 15, 2012. He finished fourth on the series finale. Sorrentino also appeared in a PETA ad campaign promoting the spaying and neutering of pets in 2012. 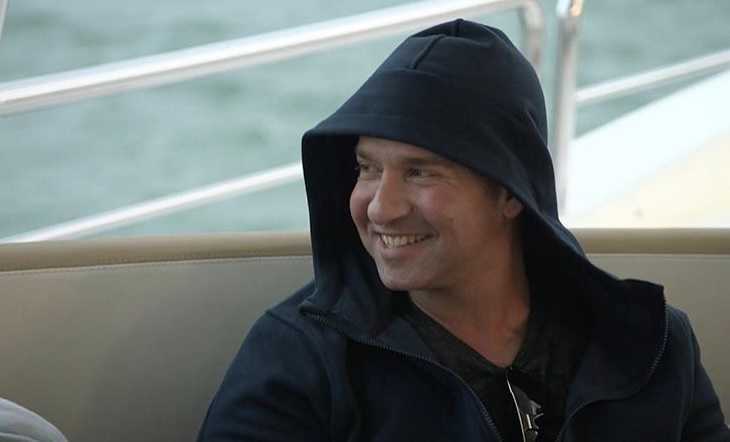 Sorrentino appeared on a TVGN network reality show with his family in 2014. Sorrentino participated in the fifth season of Marriage Boot Camp: Reality Stars and ninth season of Worst Cooks in America in 2015 and 2016 respectively. In April 2017, Sorrentino along with his brothers, Marc and Frank appeared on We TV's Marriage Boot Camp Reality Stars Family Edition. This year, Sorrentino would return to the reboot of Jersey Shore, titled Jersey Shore: Family Vacation. The series premiered in April 2018 on MTV. Sorrentino started dating his college sweetheart, Lauren Pesce in 2004. Their relationship did not last longer than three years. The couple split in 2007. They both came into understanding and they reunited in 2013. This time, their relationship led them to engagement. Sorrentino announced on 26 April 2018 that they had gotten engaged. Sorrentino checked himself into rehab, Cirque Lodge treatment center in Utah in March 2012 and stayed there for two weeks in order to get control of a prescription medication problem. He used to consume oxycodone without control. Sorrentino was arrested for assault after a fight at a tanning salon on 17 June 2014, in Middletown Township, New Jersey. Sorrentino was charged with tax fraud in September 2014. They avoided paying $8.9 million in taxes. In April 2017, further charges were levied against Sorrentino and his brother for tax evasion and the structuring of bank deposits to avoid reporting thresholds. Sorrentino pleaded guilty to one count of tax evasion on 19 January 2018. The United States District Court of New Jersey in Newark sentenced Sorrentino to 8 months in prison on 5 October 2018. He was also penalized with 2 years of supervised probation and has to serve 500 hours of community service. The Jersey Shore star has a net worth estimated at $300,000 as of 2018. He is paid $150,000 per episode of Jersey Shore. He is one of the highest paid members of other casts in the MTV reality show. With signing bonuses, end-of-season bonuses, Sorrentino earned around $2.55 million per season. Sorrentino made more than $5 million in 2010, the second highest of any other reality star after Kim Kardashian. Besides Jersey Shore, Sorrentino earned other money through endorsements with Devotion Vodka, Reebok Zigtech shoes, as well as a ghost-written autobiography, a rap song, a workout DVD, a vitamin line for GNC, a clothing line, and appearances on Dancing with the Stars. Sorrentino participated as a contestant on season 11 of Dancing with the Stars. Abercrombie & Fitch offered Sorrentino money not to wear the company's clothes. Sorrentino participated on the fifth season of Marriage Boot Camp: Reality Stars with his partner, Lauren Pesce.